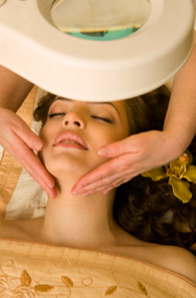 Getting a face-lift is a big decision so you’ll want to make sure you proceed with an expert. Dr. Shaw is a board-certified expert in cosmetic surgery, with more than 25 years of experience, so you can rest assured that you’ll end up with the best possible results. There are many face-lift procedures available at The SHAW Center. Be sure to schedule a consultation with Dr. Shaw to discuss the bet options for you. Injectables – Injectables like Botox and JUVÉDERM can be the perfect thing for people who don’t need a full face-lift but are simply looking to refresh and rejuvenate their face without surgery. Face-lift – Called a rhytidectomy, a face-lift eliminates sagging skin along the jaw line and neck. It can also reshape fat tissue and sagging skin on the cheeks and jowls. SmartLipo – SmartLipo is another option for creating a younger look by thinning the face and neck. This facial liposuction procedure, which usually takes less than an hour, gives patients a slimmer, more youthful appearance. Eyelid and Brow lift – Eliminating sagging and loose skin on and around the upper and lower eyelids can give patients a much younger appearance as well. The brow lift does just that – lifts the brows, eliminating a “tired” or even “angry” look. With a brow lift, Dr. Shaw can also smooth wrinkles on the forehead. Rhinoplasty – Nose reshaping is a popular procedure to transform the size and shape of the nose to become more proportional to the rest of the face. Whatever look is desired, Dr. Shaw can often combine many procedures at once to create a whole new look at one time. A consultation with Dr. Shaw can help you customize your facial reconstruction desires – both surgical and non-surgical – and welcome back a more youthful, happier face in the mirror! A trip to The SPA at The SHAW Center is unlike any other spa day you’ll experience. The SPA offers a vast range of high-quality, state-of-the-art medical grade skin treatments that combine medical facials with the relaxation of a traditional facial. Juvederm is one of the skin treatments offered at The SPA that can take years off your face without the need for a full facelift. Juvederm is a smooth-consistency dermal filler made from hyaluronic acid, a substance that occurs naturally in the skin. This injectable gel helps reduce and eliminate the look of fine facial wrinkles that occur specifically at the corners of the mouth and around the nose. Juvederm can also be used to enhance lips, giving them a fuller and more symmetrical appearance. The Juvederm procedure is quick, with minimal discomfort and no downtime. A very thin needle to used to inject small amounts of the substance into the skin to “fill” wrinkles and folds. To ease pain, a topical anesthesia and/or local blocks can be used but traditional anesthesia is not typically needed. The procedure usually takes less than 30 minutes and you can return to all normal activities immediately afterwards. Results are immediate, though some minor swelling or redness may occur for the first few days after treatment. However, no bandages are needed and there is no need to limit normal activities after the procedure. Juvederm is ideal for creating a more youthful look and reducing those irritating fine lines and wrinkles. Since the results are so natural and immediate, people will never suspect you’ve had any work done… though they will certainly notice a difference in your appearance. During a consultation with our team, we can discuss further details about any specific risks with this procedure as well as your particular desires so we can help you attain your aesthetic goals. The SHAW Center has been awarded the Black Diamond for Botox® Cosmetic and dermal filler injections, so you know you are in good hands here.